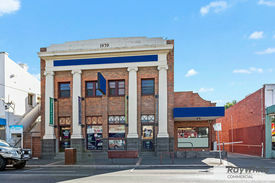 230 Commercial Real Estate and Properties in Melbourne Eastern Suburbs are listed in 6 categories. We have 172 Offices for Sale & Lease , 39 Retail Shops for Sale & Lease , 14 Industrial Warehouses for Sale & Lease , 2 Medical and Consulting Properties for Sale & Lease , 2 Hotels and Leisure for Sale & Lease and 1 Development Lands for Sale & Lease . Warehouse / Workshop For Lease That Ticks All The Boxes  First Time Available In 25 Years* $39,000 p/a + GST + Outgo.. Fully Furnished | Inspiring Creative Space | Ideal Location $207pw | 2 Person Workspa..
PROPERTY OVERVIEW $207pw Price incl. Creative shared office space alongside two award winning creative companies. There are 2 spare desks available for rent in this cool Richmond office space and they come with access to two design studios. Slick styling and fun friendly people add to the cool agency vibes at this shared workspace factor in the affordable pricing and it’s the perfect solution for every solo creative or 2 person team. The excellent shared facilities include two small design studios, a large meeting room, a meeting table, kitchen and a large storage cabinet while each desk comes with a modern chair and desk, internet, lockable drawers and an extra table for brainstorming and collaboration. Creatives working in design, fashion, video and animation work together in this arty and friendly workspace like minded people will adore becoming part of this close knit creative community. The desks in this slick Richmond office are available now for terms starting from 1 month. This affordable shared office space is right next to Richmond Train Station and just off Swan Street in a vibrant location that’s full of trendy professionals. The boutique warehouse style building houses 70sqm of office space and it has excellent lighting, bike storage and good disabled access with wide hallways and smooth floors. The Richmond area is highly sought after by those in the creative industries with charismatic Swan Street offering tempting modern cuisine, cool bars and great outlet shopping. Top picks nearby include The Corner Hotel (famed for its live music), Botherambo for Southeast Asian cuisine and Cheerio, the mini coffee shop with an amazing caffeine hit. Yarra Park and Melbourne Cricket Ground are right down the road with all their amazing green open spaces and sporting facilities, great for anyone who's keen to get out in the sun, exercise or watch some sport after work. The Inner West Melbourne suburb has it all plus plenty of potential for your business with its strong business and creative scene. The advertised office space is perfect for a team of 2. If you need more or less space, we have over 30,000 furnished workspaces all over the world suitable for a team of 1 to 200+. Our award winning team offer a free service that will help you find the perfect solution for your needs, so reach out if you need more help. What you get for your weekly rent , 24/7 Access , 24/7 Security , Access to internal breakout areas , Access to kitchen facilities , Access to secure printer and scanner , Building outgoings included , Electricity usage included , Flexible terms , Plug and play furnished workspace , Regular cleaning , Secure high speed Internet Building features , Abundance of natural light , Air conditioning , Bicycle storage , Car parking Street / Public Car Park (Paid) , Onsite Cafe / Restaurant , Print, scan and copy facilities , Taxi / Uber stand close to building 180m to Lennox Street tram stop (#70) 280m to Richmond Station 550m to Yarra Park 200m to Swan Street's pubs, cafes and restaurants 3km to Melbourne CBD Who is Office Hub? Office Hub is the world\'s No.1 marketplace for office space. We have a huge global selection of coworking spaces, serviced offices and shared office spaces with flexible options to suit teams from 1 200 people. We\'ll take you on a tour of all the workspaces that fit your needs and work on your behalf to get the best price possible. We\'ll help you discover how shared office space can be the most beneficial and budget friendly solution for your business. www.office hub.com Conditions apply – the advertised price includes any incentives offered based on a 12 month agreement and is available to new tenants only. Please note that the rental rate may increase for a shorter rental period. A portion of the square meterage factors in access to shared space. Blank Canvas  Expose Your Business In One Of Melbournes Most Highly Sought After Locations! $45,000 p/a + GST + Outgo.. Ideal Working Environment | Fitted And Furnished | Trendy Location $230pw | 5 Person Workspa..
PROPERTY OVERVIEW $230pw Price incl. Innovative shared office space in Richmond with brand new amenities, the perfect layout for collaborating within an entrepreneurial Jewish community. This coworking hub is in a super convenient location and offers everything an ambitious entrepreneur, startup or freelancer might need – a purpose built coworking space accessible 24/7, business grade internet and a state of the art environmentally friendly design with all chairs made from 100 per cent recycled material. The large open plan workspace has a relaxing blue colour scheme with lots of different work areas and access to an elegant meeting room, kitchen and bike racks. Each rental comes with secure high speed internet and everything from air con to cleaning including in the rate. Budget friendly pricing and the awesome Richmond location tops it all off. So if you’re a social entrepreneur, business owner, Jewish entrepreneur or someone working remotely who wants to be part of a creative and innovative coworking community, this is the perfect workspace for you. Tour available on weekdays book yourself in to go and take a look! This great coworking space is located in Richmond, the inner west vicinity with it all – boutique shopping, great brunch spots, legendary music venues and a big sporting culture. The shared office sits on Kingston Street to the south of Swan Street in a small red brick building with three floors and a rooftop terrace. It’s just off the vibrant Church Street and steps from Fitness First, Australia Post, cafes and shops, while the Adelaide Street stop for tram 78 is a one minute walk away. Within five minutes you can be at the Alan Bain Reserve to relax in the sun while a stroll up Church Street will get you to Richmond East Train Station in no time. The advertised office space is perfect for a team of 5. If you need more or less space, we have over 30,000 furnished workspaces all over the world suitable for a team of 1 to 200+. Our award winning team offer a free service that will help you find the perfect solution for your needs, so reach out if you need more help. What you get for your weekly rent , 24/7 Access , 24/7 Security , Access to internal breakout areas , Access to kitchen facilities , Building outgoings included , Electricity usage included , Flexible terms , One simple bill for everything related to your workspace , Plug and play furnished workspace , Regular cleaning , Secure high speed Internet Building features , Abundance of natural light , Air conditioning , Bicycle storage , Car parking Street / Public Car Park (Paid) , Disabled access and facilities , Retail and shopping malls nearby , Taxi / Uber stand close to building 450m to East Richmond Station 290m to Barkly Gardens and Alan Bain Reserve 2 tram stops to Coles Express on Punt Road Who is Office Hub? Office Hub is the world\'s No.1 marketplace for office space. We have a huge global selection of coworking spaces, serviced offices and shared office spaces with flexible options to suit teams from 1 200 people. We\'ll take you on a tour of all the workspaces that fit your needs and work on your behalf to get the best price possible. We\'ll help you discover how shared office space can be the most beneficial and budget friendly solution for your business. www.office hub.com Conditions apply – the advertised price includes any incentives offered based on a 12 month agreement and is available to new tenants only. Please note that the rental rate may increase for a shorter rental period. A portion of the square meterage factors in access to shared space. Brightly Lit | Great Amenities | Enviable Location $487pw | 2 Person Workspa..
PROPERTY OVERVIEW $487pw Price incl. 6 star coworking hub at a 3 star price point! The intelligent spatial design at this incredible coworking space in Richmond fosters an uplifting and supportive environment for every member. The Happiness Team is the heartbeat of it all – they’re intuitively in sync with the needs of members and deliver the ultimate lifestyle and working experience as one. The diverse membership base includes large corporates, government organisations, startups and many SMEs – will your business be the next to benefit from an advanced coworking ecosystem? Enquire now for flexible terms, great rates and an inspirational office vibe that’ll get you and your business buzzing and ready to reach the next level. This stunning creative office space sits within a 3 level A grade building on Church Street in Richmond. Recently refurbished with new air con, new passenger lifts, secure car parking and vast natural light, this building provides businesses with an inspiring and refreshing working environment. The Richmond / Cremorne location gives you close access to many of Melbourne’s most tempting tastes, inviting boutiques and lively bars in this laid back suburb while tram services run on Church Street and East Richmond Train Station is only a short walk away. The advertised office space is perfect for a team of 2. If you need more or less space, we have over 30,000 furnished workspaces all over the world suitable for a team of 1 to 200+. Our award winning team offer a free service that will help you find the perfect solution for your needs, so reach out if you need more help. What you get for your weekly rent , 24/7 Access , 24/7 Security , Access to internal breakout areas , Access to kitchen facilities , Access to secure printer and scanner , Building outgoings included , Commercial grade internet , Dedicated IT and communications support , Electricity usage included , Regular cleaning , Your own receptionist and waiting area for your clients Building features , Abundance of natural light , Air conditioning , Bicycle storage , Car parking in building (Paid) , Car parking Street / Public Car Park (Paid) , Contemporary fit out , Creative co working space , Gym and fitness centre close by , Onsite Cafe / Restaurant , Print, scan and copy facilities , Private offices and dedicated desks available 300m to East Richmond Train station servicing the following lines: Alamein, Belgrave, Glen Waverley, Lilydale Gibbons Street / Church Street Tram stop out the front of building (route 78) Numerous bars, restaurants and cafe's nearby on Iconic Church Street including 7 Grams Cafe (20m), Coco Republic (130m) and Public House (300m) WHO IS OFFICE HUB? Office Hub has largest collection of shared office space, sublet office space, creative coworking office space and serviced offices, perfect for 1 200 employees. Let us take you on a tour of all the spaces that fit your needs and budget. Our service is complimentary and we work for you and the landlord to negotiate the most competitive deal in the market. Let us show you how shared and serviced offices can be the perfect solution for your business. www.office hub.com.au www.office hub.co.nz Conditions apply A portion of the square meterage factors in access to shared space. The advertised price includes any incentives offered based on a 12 month agreement. If a shorter period is agreed to please note the price may increase accordingly. This promotional offer for new tenants only and may be withdrawn at any time due to space availability. Close To Train | Enjoyable Working Environment | Fully Furnished $211pw | 2 Person Workspa..
PROPERTY OVERVIEW $211pw Price incl. Light filled and spacious consulting room in Hawthorn for allied health professionals, psychologists or similar. This beautifully presented office is set up for 1 2 people and its abundant natural light and cosy furnishings make it perfect for seeing patients and families. As part of an established psychology practice, it comes with office furniture, Wi Fi and air conditioning as well as use of an adjacent reception area, kitchenette, bathrooms and the HICAPS system for managing clients and payments. With a welcoming and professional atmosphere throughout the practice, this consulting room will keep your patients comfortable and your overheads down – a great solution for setting up a practice or establishing a clientbase in the Inner East. Book a tour today to check out this lovely consulting office space in Hawthorn – flexi terms for short and long term rent available now. 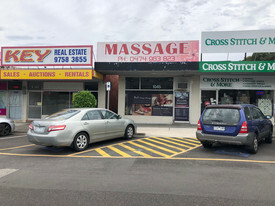 This small commercial building is located on Burwood Road in the heart of the popular Hawthorn precinct. Over its two floors, the building offers spacious offices and consulting rooms, with this workspace benefiting from a private reception area, bathroom and kitchenette. Situated in the leafy suburb of Hawthorn, this workspace boasts a convenient inner city location mixed with a family friendly feel to give local health professionals plenty of competitive advantages. Clients can reach you via three local train stations – Glenferrie, Hawthorn and Auburn – and there are numerous tram links a short walk away. If you fancy working among tree lined streets, picturesque 19th century architecture and a vibrant community of families and professionals, this affordable consulting room in Hawthorn will suit you down to the ground. The advertised office space is perfect for a team of 2. If you need more or less space, we have over 30,000 furnished workspaces all over the world suitable for a team of 1 to 200+. Our award winning team offer a free service that will help you find the perfect solution for your needs, so reach out if you need more help. What you get for your weekly rent , Access to internal breakout areas , Access to kitchen facilities , A fully furnished office suite , Building outgoings included , Commercial grade internet (Free) , Electricity usage included , Regular cleaning Building features , Abundance of natural light , Air conditioning , Dedicated men and ladies bathrooms , Direct access to public transport , Direct access to train station , Open plan layout , Private offices and dedicated desks available , Professional working environment , Retail and shopping malls nearby 500m to Glenferrie Railway Station Opposite The Hawthorn Hotel 270m to Swinburne University of Technology 450m to tram #16 on Glenferrie Road 600m to Auburn Railway Station Who is Office Hub? Office Hub is the world\'s No.1 marketplace for office space. We have a huge global selection of coworking spaces, serviced offices and shared office spaces with flexible options to suit teams from 1 200 people. We\'ll take you on a tour of all the workspaces that fit your needs and work on your behalf to get the best price possible. We\'ll help you discover how shared office space can be the most beneficial and budget friendly solution for your business. www.office hub.com Conditions apply – the advertised price includes any incentives offered based on a 12 month agreement and is available to new tenants only. Please note that the rental rate may increase for a shorter rental period. A portion of the square meterage factors in access to shared space. Creative Co-working Hub | Great Location | Innovative Working Environment $427pw | 5 Person Workspa..
PROPERTY OVERVIEW $427pw Price incl. 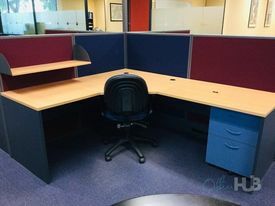 Coworking desks and private offices for rent in a large shared office near Monash University in Clayton. This office offers businesses the opportunity to rent a perfectly sized workspace on flexible terms – whether you need a single desk, a few small offices or accommodation for 30 employees, a flexible solution can be tailored to suit you at this Notting Hill shared office. Furnished throughout, the office has capacity for 37 people or even more if the meeting rooms are utilised as offices – but smaller portions can be rented to multiple parties in a shared office scenario. The office is spread over two levels and the first floor comprises 28 open plan workstations, 2x 2 pax lockable offices, a meeting room, a boardroom and a comms room; on the ground level there are 2x 2 3 pax offices, toilets, a shower and a kitchenette. There are also 12 car parking spaces available on a first come first served basis. High speed internet, printers and kitchen facilities are set up and the office is regularly cleaned. This is a low maintenance and affordable workspace that would suit any business needing versatile office space in Clayton/Notting Hill. This dynamic office space sits within a warehouse facility superbly positioned with close access to the M1 Monash Freeway, Prince Hwy and Monash University. It is the front unit in a block of 12, has end of trip facilities, free off road parking for up to 12 cars and is securely accessible 24 hours a day. The office is close to other major arterial roads such as Blackburn Road, Centre Roads, Ferntree Gully Road and Springvale Road to provide entrepreneurs and employees with a convenient workplace closer to home. Located on the fringe of Clayton and Notting Hill, this office enjoys a variety of nearby conveniences including cafes, retail, Bunnings, food outlets, Notting Hill Hotel and more. The advertised office space is perfect for a team of 5. If you need more or less space, we have over 30,000 furnished workspaces all over the world suitable for a team of 1 to 200+. Our award winning team offer a free service that will help you find the perfect solution for your needs, so reach out if you need more help. What you get for your weekly rent , Conference room with digital overhead projector & electronic whiteboard , 12 car spaces available on a first come first serve basis , Tea / coffee facilities , 24/7 Access , Access to internal breakout areas , Access to kitchen facilities , Access to secure printer and scanner , Building outgoings included , Electricity usage included , One simple bill for everything related to your workspace , Regular cleaning , Secure high speed Internet Building features , Abundance of natural light , Air conditioning , Car parking in building (Free) , Dedicated men and ladies bathrooms , Open plan layout , Private offices and dedicated desks available , Shared office space 500m to Monash University 5.6km to Chadstone Shopping Centre 500m to South Eastern Freeway 190m to bus stop on Ferntree Gully Road 1.2km to CSIRO Who is Office Hub? Office Hub is the world\'s No.1 marketplace for office space. We have a huge global selection of coworking spaces, serviced offices and shared office spaces with flexible options to suit teams from 1 200 people. We\'ll take you on a tour of all the workspaces that fit your needs and work on your behalf to get the best price possible. We\'ll help you discover how shared office space can be the most beneficial and budget friendly solution for your business. www.office hub.com Conditions apply – the advertised price includes any incentives offered based on a 12 month agreement and is available to new tenants only. Please note that the rental rate may increase for a shorter rental period. A portion of the square meterage factors in access to shared space. Sleek Interior | Cheap Parking | Enviable Location $145pw | 1 Person Workspa..
PROPERTY OVERVIEW $145pw Price incl. 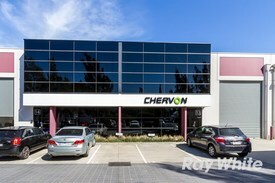 Shared office space for rent in Chadstone Shopping Centre. Avoid the usual costs associated with a serviced office by renting this affordable shared office space in Chadstone’s premier business location! At almost a third cheaper than the going rate in this building, this shared workspace offers significant value for money and flexibility to boot with terms available from 1 month to 1.5 years. The open plan office is occupied by a fun consultancy team and they’re looking for like minds to join them in their vibrant and energetic workplace. You’ll get access to fast internet, spacious lounges, sleek meeting rooms and great conference facilities, plus every desk is already equipped with ergonomic chairs and dual screens. This workspace is ready to use and just waiting for a good match to move in. For those who want the prestige and facilities of this office building with a fun relaxed vibe, this shared office space in Chadstone is a perfect option. Book a tour at a time to suit you as we’d love to show you around! This small coworking space is situated in Australia’s largest shopping centre, Chadstone, offering lavish high end workspaces complemented with the convenience of shops, cafes and restaurants at your fingertips. Surrounded by hundreds of other businesses that call Chadstone home, you can work in style, impress your clients and collaborate more on your path to success. Colleagues and clients can park for free just outside the office and you can make use of the building’s premier end of trip facilities, business lounges and disabled facilities. Step from the office and find yourself tantalisingly close to a variety of high street restaurants, international shopping and every convenience from banks and pharmacies to the cinema. The advertised office space is perfect for a team of 1. If you need more or less space, we have over 30,000 furnished workspaces all over the world suitable for a team of 1 to 200+. Our award winning team offer a free service that will help you find the perfect solution for your needs, so reach out if you need more help. What you get for your weekly rent , 24/7 Access , 24/7 Security , Access to internal breakout areas , Access to kitchen facilities , Access to secure printer and scanner , Building outgoings included , Commercial grade internet , Electricity usage included , Fully equipped boardrooms, meeting rooms and day offices (fees may apply) , Regular cleaning Building features , Air conditioning , Bicycle storage , Car parking in building (Free) , Complimentary business Lounge , Dedicated men and ladies bathrooms , Disabled access and facilities , End of trip facilities e.g showers, bike racks , New fit out , Onsite Cafe / Restaurant , Open plan layout , Professional working environment Located in Chadstone Shopping Centre Wide variety of shops, cafes, cinema and restaurants in the mall 200m from Monash Freeway 1km to Hughesdale Train Station (direct trains to Melbourne Central in 22 mins) 250m to Capital Golf Course Who is Office Hub? Office Hub is the world\'s No.1 marketplace for office space. We have a huge global selection of coworking spaces, serviced offices and shared office spaces with flexible options to suit teams from 1 200 people. We\'ll take you on a tour of all the workspaces that fit your needs and work on your behalf to get the best price possible. We\'ll help you discover how shared office space can be the most beneficial and budget friendly solution for your business. www.office hub.com Conditions apply – the advertised price includes any incentives offered based on a 12 month agreement and is available to new tenants only. Please note that the rental rate may increase for a shorter rental period. A portion of the square meterage factors in access to shared space. 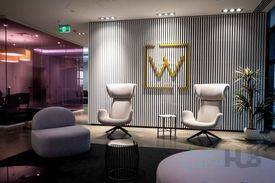 Creative Co-working Hub | Natural Light | Vibrant Precinct $405pw | 4 Person Workspa..
PROPERTY OVERVIEW $405pw Price incl. Welcome to the Eastern Innovation Business Centre in Melbourne’s eastern suburbs – the home of more than 50 innovative entrepreneurs accelerating their business ideas and collaborating to break boundaries in their respective markets. Here you’ll find flexible workspace options to encourage low cost business development along with access to funky meeting rooms, presentation and training facilities, laboratories and readily available mentoring support from a thriving ecosystem of experienced business people and entrepreneurs. These offices and coworking spaces are ideal for innovation ventures, their founders and their teams as you can expand your space when you need and enjoy a huge range of facilities and community benefits at a competitive price. This groups of pioneers chose a few words to explain their culture: inclusive, diverse, aspirational, friendly, relaxed and open are just a few, and they add that they strive to push boundaries and be the best that they can be. Get the support, environment and community you need to turn your idea into commercial success – only at the Monash Eastern Innovation Business Centre. Tours available daily and flexi terms start from one month. The Eastern Innovation Business Centre consists of two high tech buildings located in the Monash National Employment and Innovation Cluster (MNEIC) of Mulgrave. The Jessie Tait Building offers state of the art workspaces while the Tom Morrissey Building is an A Grade environmentally friendly building – they were built using government funding for regional development and together they form one of Melbourne’s best hubs of business acceleration and incubation. The buildings are accessible 24/7 and have excellent security, shower facilities, kitchens and sustainable features such as grey water recycling, rain water harvesting and bio filtration ponds. 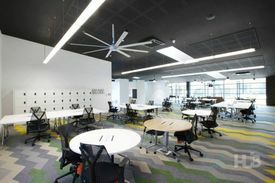 Located in the heart of the hi tech scientific zone of MNEIC, this workspace is among landmarks and innovation hubs such as CSIRO Australia, Monash University, The Australian Synchrotron facility, Monash Science & Technology Park, Monash Medical Centre and The Melbourne Centre for Nanofabrication. The advertised office space is perfect for a team of 4. If you need more or less space, we have over 30,000 furnished workspaces all over the world suitable for a team of 1 to 200+. Our award winning team offer a free service that will help you find the perfect solution for your needs, so reach out if you need more help. What you get for your weekly rent , 24/7 Access , 24/7 Security , Access to internal breakout areas , Access to kitchen facilities , Access to secure printer and scanner , Building outgoings included , Electricity usage included , Flexible terms , One bill to pay at the end of the month , Regular cleaning , Secure high speed Internet Building features , Abundance of natural light , Air conditioning , Bicycle storage , Car parking in building (Paid) , Disabled access and facilities , Taxi / Uber stand close to building , FREE parking 2.6km to Monash University Clayton Campus Close access to the Princes Highway 400m to IKEA 3.5km to Brandon Park Shopping Centre 26km to Melbourne CBD Who is Office Hub? Office Hub is the world\'s No.1 marketplace for office space. We have a huge global selection of coworking spaces, serviced offices and shared office spaces with flexible options to suit teams from 1 200 people. We\'ll take you on a tour of all the workspaces that fit your needs and work on your behalf to get the best price possible. We\'ll help you discover how shared office space can be the most beneficial and budget friendly solution for your business. www.office hub.com Conditions apply – the advertised price includes any incentives offered based on a 12 month agreement and is available to new tenants only. Please note that the rental rate may increase for a shorter rental period. A portion of the square meterage factors in access to shared space. Ideal Location | Ideal Working Environment | Buses Nearby $807pw | 10 Person Worksp..
PROPERTY OVERVIEW $807pw Price incl. 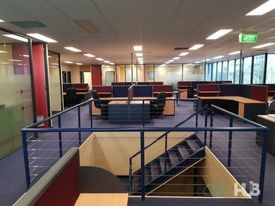 Coworking desks and private offices for rent in a large shared office near Monash University in Clayton. This office offers businesses the opportunity to rent a perfectly sized workspace on flexible terms – whether you need a single desk, a few small offices or accommodation for 30 employees, a flexible solution can be tailored to suit you at this Notting Hill shared office. Furnished throughout, the office has capacity for 37 people or even more if the meeting rooms are utilised as offices – but smaller portions can be rented to multiple parties in a shared office scenario. The office is spread over two levels and the first floor comprises 28 open plan workstations, 2x 2 pax lockable offices, a meeting room, a boardroom and a comms room; on the ground level there are 2x 2 3 pax offices, toilets, a shower and a kitchenette. There are also 12 car parking spaces available on a first come first served basis. High speed internet, printers and kitchen facilities are set up and the office is regularly cleaned. This is a low maintenance and affordable workspace that would suit any business needing versatile office space in Clayton/Notting Hill. This dynamic office space sits within a warehouse facility superbly positioned with close access to the M1 Monash Freeway, Prince Hwy and Monash University. It is the front unit in a block of 12, has end of trip facilities, free off road parking for up to 12 cars and is securely accessible 24 hours a day. 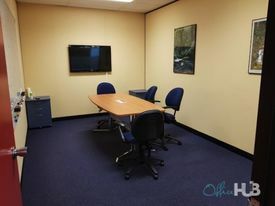 The office is close to other major arterial roads such as Blackburn Road, Centre Roads, Ferntree Gully Road and Springvale Road to provide entrepreneurs and employees with a convenient workplace closer to home. Located on the fringe of Clayton and Notting Hill, this office enjoys a variety of nearby conveniences including cafes, retail, Bunnings, food outlets, Notting Hill Hotel and more. The advertised office space is perfect for a team of 10. If you need more or less space, we have over 30,000 furnished workspaces all over the world suitable for a team of 1 to 200+. Our award winning team offer a free service that will help you find the perfect solution for your needs, so reach out if you need more help. What you get for your weekly rent , Conference room with digital overhead projector & electronic whiteboard , 12 car spaces available on a first come first serve basis , Tea / coffee facilities , 24/7 Access , Access to internal breakout areas , Access to kitchen facilities , Access to secure printer and scanner , Building outgoings included , Electricity usage included , One simple bill for everything related to your workspace , Regular cleaning , Secure high speed Internet Building features , Abundance of natural light , Air conditioning , Car parking in building (Free) , Dedicated men and ladies bathrooms , Open plan layout , Private offices and dedicated desks available , Shared office space 500m to Monash University 5.6km to Chadstone Shopping Centre 500m to South Eastern Freeway 190m to bus stop on Ferntree Gully Road 1.2km to CSIRO Who is Office Hub? Office Hub is the world\'s No.1 marketplace for office space. We have a huge global selection of coworking spaces, serviced offices and shared office spaces with flexible options to suit teams from 1 200 people. We\'ll take you on a tour of all the workspaces that fit your needs and work on your behalf to get the best price possible. We\'ll help you discover how shared office space can be the most beneficial and budget friendly solution for your business. www.office hub.com Conditions apply – the advertised price includes any incentives offered based on a 12 month agreement and is available to new tenants only. Please note that the rental rate may increase for a shorter rental period. A portion of the square meterage factors in access to shared space. Brand New Office/warehouse In Modern Industrial Estate! $45,000 p/a + GST + Outgo..
Ready To Start Operating $23,000 p/a + GST + Outgo..